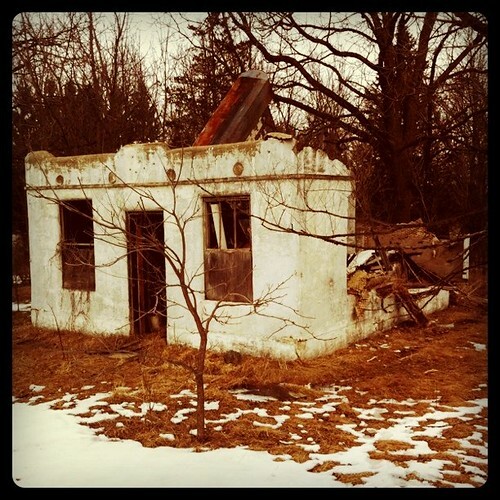 Photo: The main office of the Haven Motel on March 3, 2011. On the way home I passed the Haven Motel, which has been covered here on American Urbex previously. If you haven’t made your way to this location yet, do so within the near future. The elements are wreaking havoc on all of the structures. Hell, if your in my neck of the woods why not just drop me a line? 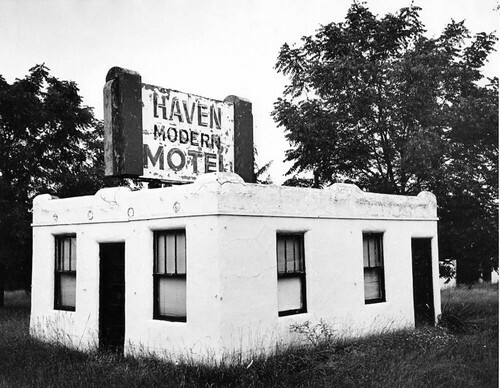 Photo (akrausha): The Haven Motel in better days. As of 8/20/11 this site still exists, the map posted is accurate. However, the buildings are badly decayed and some are difficult to get to due to dense undergrowth. Make sure to wear pants and proper shoes or the prickle bushes will be painful. There’s also a collapsed shed and a couple other small buildings in the back that’s worth taking a look at. Hey! I need history! I’m writing a book and this place is in it. I need specifics!